If you have an albino, do they have a technical pattern and color?? I know it's white but like tigers and leopards etc. They are naturally specific colors. Is albino a primary trait? Like will it always win in the offspring or is it percent like the other traits? I'm curious to hear other peoples' thoughts about how this should be handled! Maybe there could be Albino and Albino (diluted), which is what foals of albino adults would inherit, which would just dilute the colors of the other parent? Although then the question of what the albino parent's usual colors and markings are... hmmm. Albinism and color dilution in sams sound awesome! A 50% chance, if both parents have and 25% if only one has, of being passed down. I think they should be extremely muted colors if not completely white with touches of pink/red (I think this would be the easiest). <3 I adore albino's in nature and I would love for it to be rather close with sams as well (I want to get an albino baby, I won't lie! 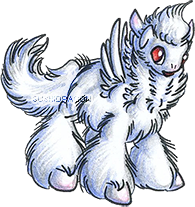 It is actually next on my Sam Breeding To-Do List, so i'm not trying to have them be impossible but i'm willing to try a few times if I have to <3). It seems that the animals still have their darker colors they are just washed out so badly.. The elephant and the Rhino (didnt post that) are true testaments to that. They still have ridiculous color but aren't close to white. Last edited by RikkuGirl on Wed Jun 01, 2016 9:16 am, edited 2 times in total. Albanism is actually the absence of melanin in the animal (different levels of albinism correlate to different levels of melanin), so in humans (where our primary/only pigment normally is melanin) albinism is pretty intense. Some other animals may have other pigments though, which can result in things like the giraffe or the elephant. 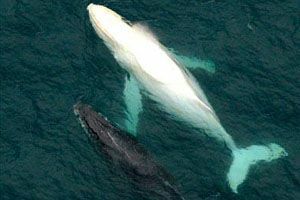 :3 I'd assume there could be versions of albinism for each pigment an animal has, and those overlapping could give you total whiteness on an animal with a couple different pigments. That snake and peacock are Pied I think. We had a white alligator here in Utah at Hogle Zoo. He was not considered albino, he just had no color pigment to his skin and scales. He had blue eyes. I think it's different than albino but I'm not 100% sure. Muted colors and markings sound good to me. It would also be cool to get a Pied baby. Yeah, the peacock and python aren't albino, but pied! Similar to the paint gene in horses, and white spotting in cats XD It can also be known as leucism, where the is a loss of pigmentation in the skin, etc. 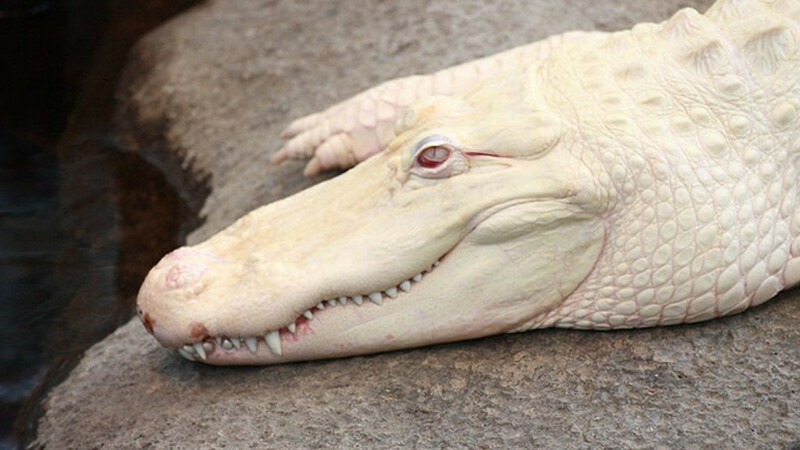 The blue-eyed alligator, not the pink-eyed crocodile, and the giraffe are also leucistic! The zebra's not albino either, she's got amelanosis, or lack of melanin pigments. It's similar to albinism, but not the same! This zebra is Zoe, and lives in Hawaii on Three Ring Ranch: http://www.threeringranch.org/animals/zoe.html. Lol thanks for all the info guys!!! Ya pied! That would be a neat trait indeed. I typed this all up quick so i figured it wasn't spot on. Just trying to see what variations everyone would be interested in and those all came up as albino in Google images. How do you guys think the trait should work with breeding Sams ? There are a couple of albino sams who have foals! So it looks like albinism is not a dominant trait? Maybe it's handled more like color inheritance? Oooo! I like that idea!!! White with Red eyes and the other is black with Blue??? Totally a win in my book!!! If I called it anything I would call it Shade Trait. They are either Full White Spectrum or Black and since black and white are not colors but shades... I just figured it would be a good suggestion. I read somewhere recently that there is also one for the red gene. I can't remember what it's called though. See... If that is the case then I would see it more as a full trait than a color displacement. My vote!!! <3 Thanks for that Elven. I knew there was a trait like that!! I just looked it up too, way more cooler than I thought!! Even squirrels have it! crazy. 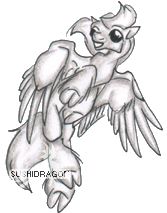 If you wanted to do all white with dark eyes you could add leucism to the mix too. Albinism/amelanism would be your white bodies with red eyes. 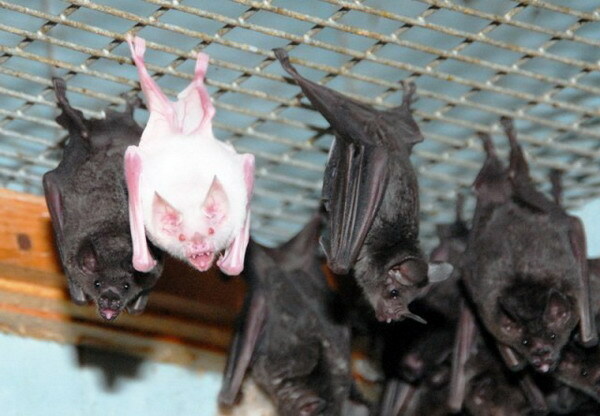 Leucism would be white bodies with dark/non-red eyes (blue would be possible!). Melanism would be your black bodies, with any eye color. Erythrism would be your reddish bodies.